MIDTOWN — The former leader of a separatist group implicated in the deadly 1975 bombing of Fraunces Tavern is set to lead the city’s 60th Annual Puerto Rican Day Parade after ending his house arrest on Wednesday, according to march organizers. Oscar López Rivera, 74 — who served 35 years in prison for leading the radical FALN organization responsible for more than 100 bombings, including the tavern attack that killed four people — was freed after President Barack Obama commuted his sentence in January and finished his house arrest in Puerto Rico on May 17. 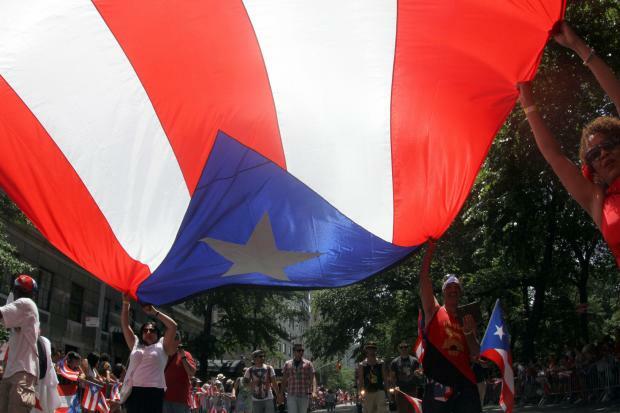 “The Parade Board has a proven history of embracing causes and has taken a proactive stance to bring vital issues that speak to the Puerto Rican experience across la Patria Extendida to the global stage that is Fifth Avenue,” organizers said in a May 4 statement. Some leaders have protested Rivera's release, including NYPD union officials, who expressed outrage over the group's connection to a 1982 bombing at police headquarters that seriously injured three officers. “No political agenda can justify the violent terrorist acts in which Oscar Lopez Rivera participated. He has shown no remorse or sympathy for the police officers and civilians who were injured or killed during the FALN's campaign of terror," PBA President Patrick Lynch said after his sentence was commuted. Latino food distributor Goya said they will not be a sponsor in the parade this year because of financial reasons and are not boycotting due to Rivera's inclusion. “No, it’s just a business decision,” said Rafael Toro, Director of Public Relations of Goya Foods. This is not the first time there has been controversy over a parade participant. Soap opera star Osvaldo Rios dropped out in 2010 after he was criticized for his history of domestic violence. Rivera, who was never tied to a specific attack but was convicted of charges including seditious conspiracy, will be honored as a “National Freedom Hero" during the parade on June 11. Other honorees include Grand Marshal Gilberto Santa Rosa, gold medal gymnast Laurie Hernandez and actor J.W. Cortes.